Jurgen Wolff appeared at a previous festival. View this year's speakers here. 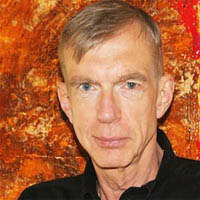 Jurgen Wolff has written more than 100 episodes of TV, including Relic Hunter, Benson and Family Ties as well as his original animated series, Norman Normal. His film The Real Howard Spitz starred Kelsey Grammer and Amanda Donohoe and was directed by Vadim Jean. Jurgen has also been a script doctor on feature films starring Kim Cattrall, Michael Caine and Eddie Murphy and wrote the mini-series, Midnight Man starring Rob Lowe and two TV movies for the Olsen Twins. He is the author of Your Writing Coach (Nicholas Brealey Publishing), Creativity Now! (Pearson), Successful Sitcom Writing (St. Martin’s Press) and co-author of Successful Screenwriting (Writers Digest Press). Jurgen divides his time between London and Southern California and runs ScreenWritingSuccess, his own screenwriting website, where you can sign up for his free newsletter.